Glad to hear good things. I hope I can start it soon. Happy reading! I’ve had Where’d You Go, Bernadette? on my TBR for such a long time! As have I. I’m glad to finally be enjoying it. Happy reading! I’ve had Will Grayson Will Grayson on my TBR for a while. Hope you’re enjoying them all. That one’s really fun and I look forward to it each night. Happy reading! I hope it didn’t ruin anything! The group enjoyed that one as did I. Happy reading! I’m hoping for more lunch reading time tomorrow. Happy reading! I have found Dan Brown books very readeable, as in they read away quickly! Very true! I enjoy flying through a book from time to time. Happy reading! I’m liking it so far. I enjoyed the previous books on the series, especially Inferno. Happy reading! Furiously Happy sounds like it’s going to be sooo much fun! My WWW. It was a blast, I really enjoyed reading it and reviewing it. Happy reading! Where’d You Go, Bernadette has always looked good to me. I used to see people reading it on the train a while back. It’s on my TBR, but not sure when I’ll get to it. It’s taken me a while to get to it and I’m glad I’m finally finding time for it. Happy reading! Ooh I look forward to reading Origin someday… Enjoy! It took me a while as well haha. I wouldn’t be surprised if the next book in the series was already out. Happy reading! The audiobook was such a joy, I’m glad I experienced it that way. Happy reading! Glad to hear her next was fun, too! I’m liking this format a lot. Happy reading! From where I am, I’d recommend it. Happy reading! Kiss Carlo looks like a book right up my alley. I’m going to have to check it out. I might want to listen, too! I’ll have a lot of posts about it in the coming months! Happy reading. I hope you can enjoy them again. Happy reading! It’s taken me a while to catch up again. Happy reading! Yeah they aren’t books you can read quickly are they lol. You too!! Oops! Running late again this week. I’m on a nighttime schedule and I bungled it a bit last night. It’s always great when you get through a big book faster than you anticipated, as you are with Origin. I hope I get the same luck with Fire & Blood. Happy reading! Good luck reading fast! We have to appreciate it when it comes. Happy reading! It forces me to rely heavily on recommendations. Happy reading! I’m glad you’re enjoying Origin; I’ve had the audiobook forever and wonder how it would be on audio–I guess there’s only one way to find out! I do love Dan Brown’s books though. Here’s my WWW post: https://stephsfictionandfamilylove.wordpress.com/2019/01/23/www-wednesday-january-23-2019/ Happy reading and have a great week! Is it a narrator who has done his books before? I like when they’re consistent. Happy reading! I honestly have no idea since I read the previous ones. This will be a 1st listening to one of his on audio! I do too, so I hope this narrator is a good one! Thank you, you too! Am currently reading some of the books you are currently reading; read Tan’s Valley some time ago; thought Will Grayson was ok, but only ok; Hated Bernadette; and haven’t read the others. 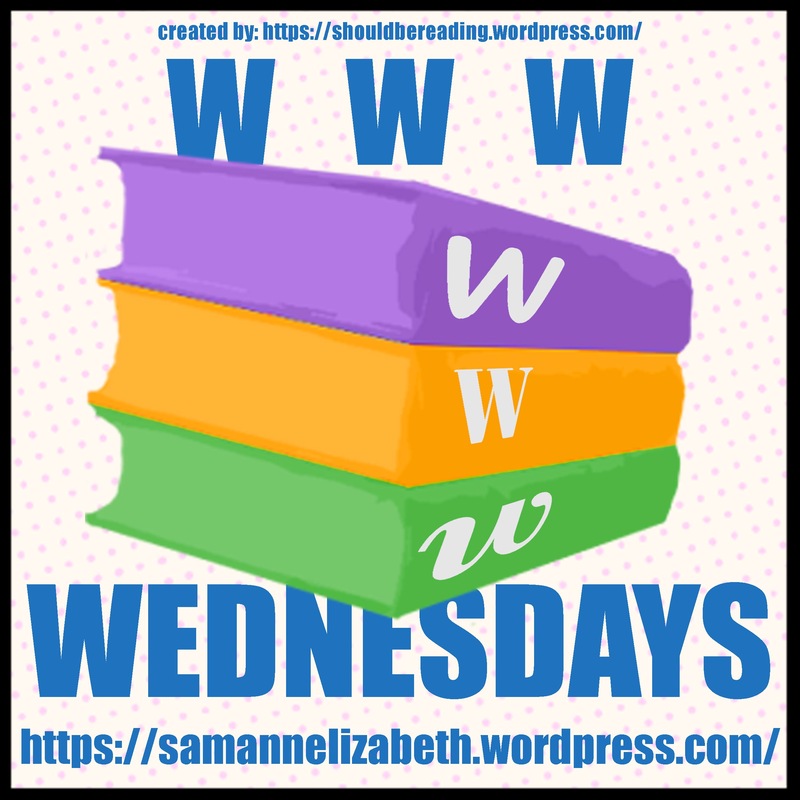 Will post my WWW Wednesday on https://powerfulwomenreaders.wordpress.com tonight. I’m not sure how I’d feel about Bernadette if I wasn’t listening to the audio. It’s amazing. Happy reading! I’ve actually never read any Dan Brown, but I hear so much about it that I feel like it should, haha! He’s had a lot of popular books. It’s not a genre I read a lot but I do enjoy the occasional treat. Happy reading! I’ve been meaning to read a book by Dan Brown ever since I saw the Da Vinci Code with Tom Hanks. I hope you’re enjoying it! I am. This book has the same protagonist that Hanks plays. Happy Wednesday! It’s late but it’s done. Always better than never. Happy reading! Yep, works great. Thanks for coming back and fixing that. Happy reading!